The Packer Ranter: No real analysis, but at least we're pretty. 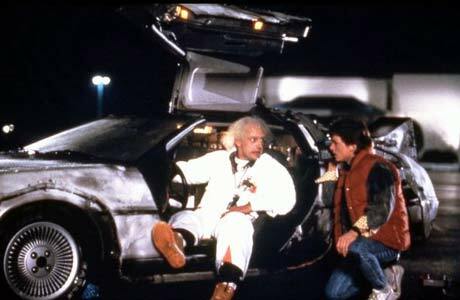 : You Made a Draft Machine Out of a DeLorean? Days until the draft.....too many. It is so dead in the Packer news department that Packer nation furiously took it upon itself to analyze the Cutler-to-Chicago trade upside down and inside out and from every angle in between, basically beating it to within inches of its death. The Journal Sentinel has even taken to following Aaron Rodgers' time off (it looks like he's having fun if you are wondering) and comparing him to Jay Fiedler. Gag me. "Have you ever wanted to be as irrelevant as Todd McShay? Have you ever wanted to not have to care about being wrong like Don Banks? Do you wish you could pretend to tell the future and have people listen like to you like Mel Kiper Jr.? Do you believe you can read the minds of 32 NFL general managers like Mike Mayock? Of course you do, and so will the masses, have I got just the thing for you: The ESPN Draft Machine." Great Scott! PLEASE make it stop! ESPN used to be about sports news, can we get back to that simpler time? Not only did you just have to move the coffin that Kiper Jr. sleeps in during the day deeper into the bowels of The Leader to make room for a new server, you are cheapening all the REAL work these draft guys do. They do excellent research and are very talented evaluators, let them be the "experts" and stop making them do mock drafts, in fact remove mock drafts from your site and programming altogether. They are pointless, rampant speculation. Keep the mock drafts in an arena for mocking, like blogs! At least on a blog, people usually write a defense of their picks, The Draft Machine is just-drag-and-drop. Even for something as pointless as a Mock Draft, that's lazy. Draft Day, where are you???? Thank God for baseball right now! Update: Don Banks at SI agrees with me, let these guys do more of this. Please! Who's hot right now? The Ranter.